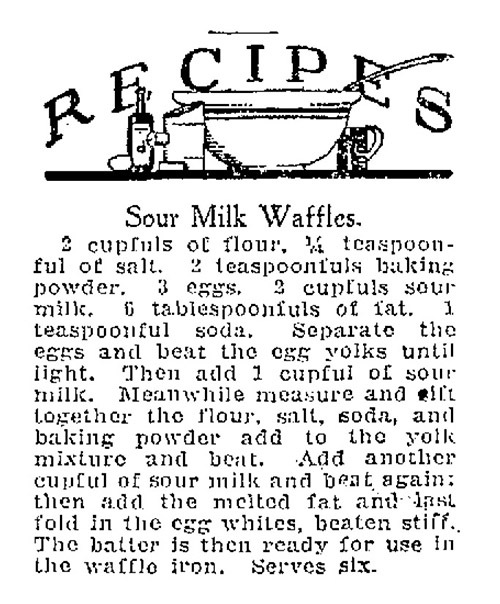 She attached scans of 2 versions of “sour milk waffle” recipes that were found in the Tribune in 1927 and 1972. 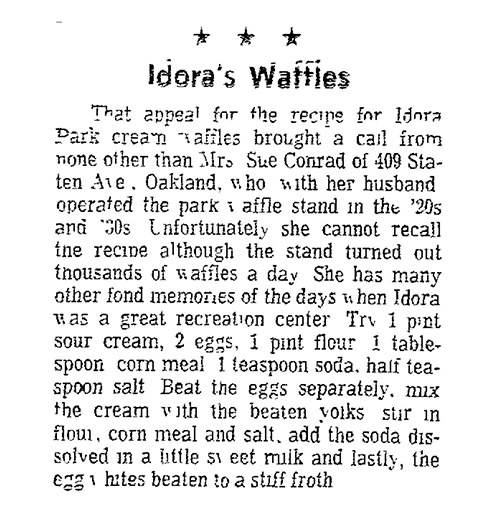 The 1972 listing was a vague recollection of the recipe from Sue Conrad, who ran the waffle stand at the park. I was thrilled to have been so lucky and thanked the librarian, Veronica, profusely. She informed me that waffles were her favorite food and that she could no longer enjoy them because of a wheat allergy. It looks like her misfortune was my good luck in this case. I decided to give the above recipe a whirl. First I separated 2 eggs, setting the whites aside to be whipped later. 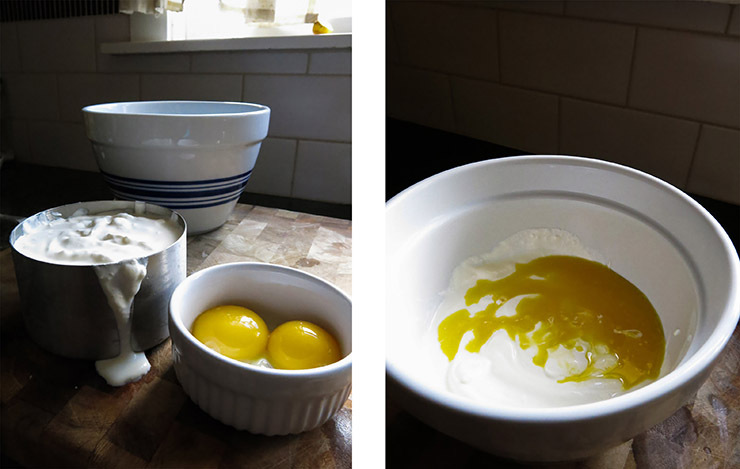 I mixed the egg yolks and a pint of sour cream together. 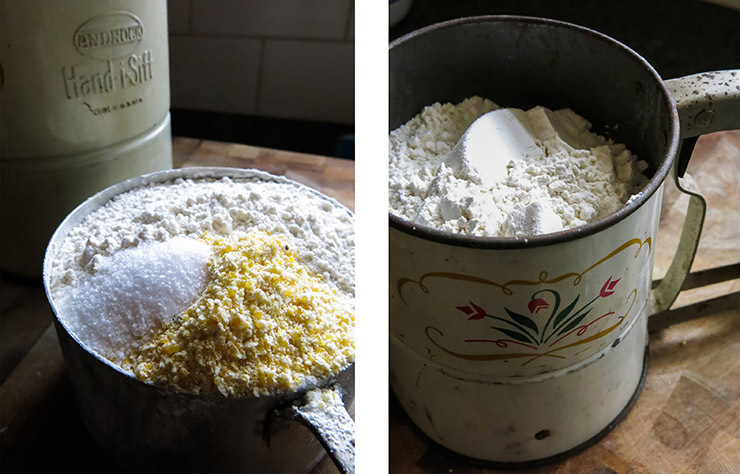 In a separate bowl, I sifted together 2 cups of all purpose flour, a tablespoon of cornmeal, and a half teaspoon of salt. 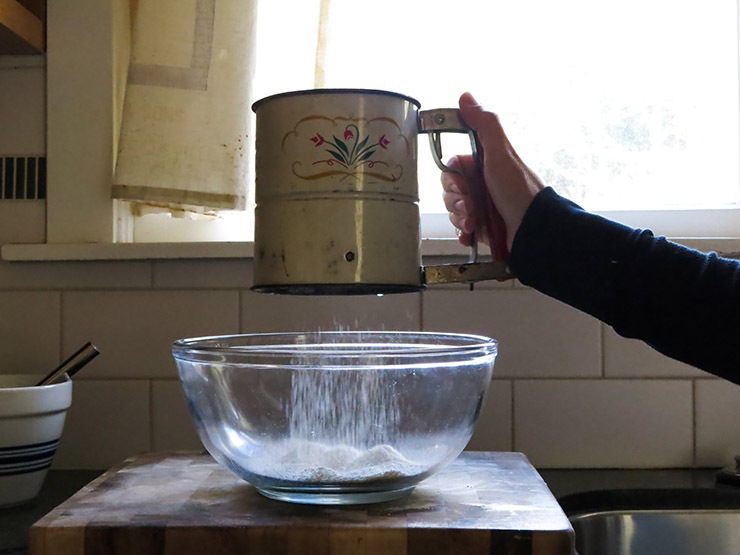 The recipe in the Tribune called for dissolving 1 teaspoon of baking soda in “a bit of sweetened milk”. 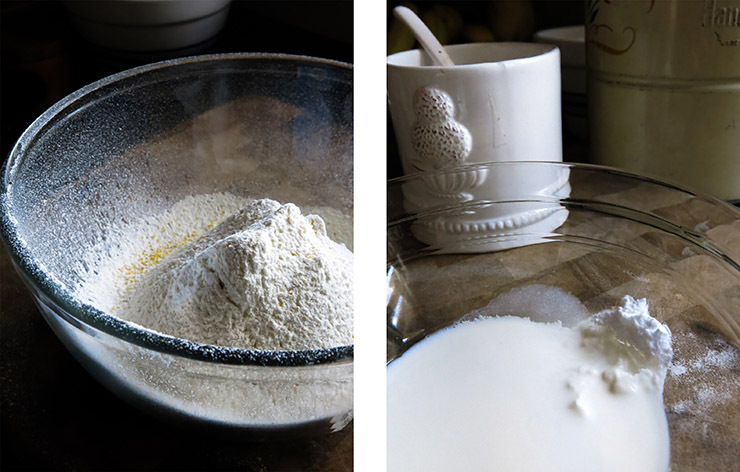 I put a splash of half and half in a bowl with a spoonful of sugar and the teaspoon of baking soda. If I were to do this again, I would have used more milk or half and half. My final batter was REALLY thick, so I would have increased this to maybe 1/2 cup or so. 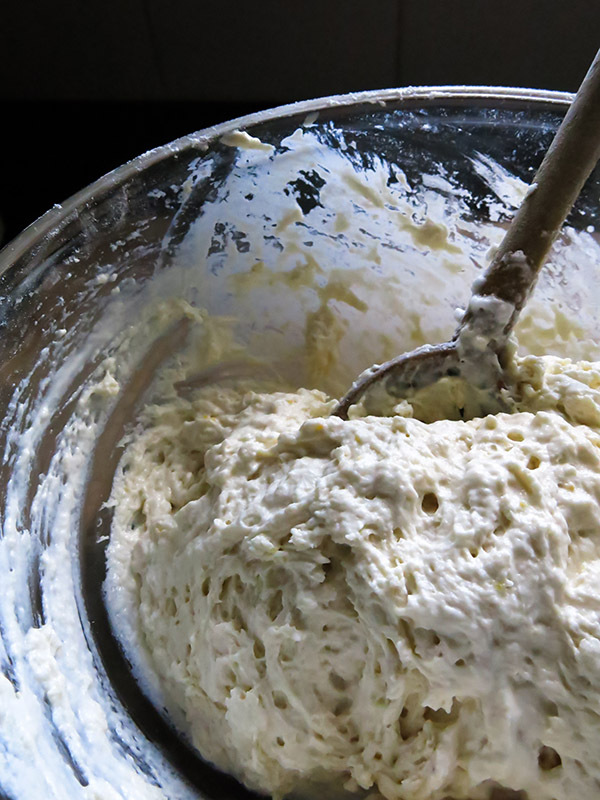 I mixed the sour cream/egg yolk mixture & dissolved baking soda in with the flour mixture. 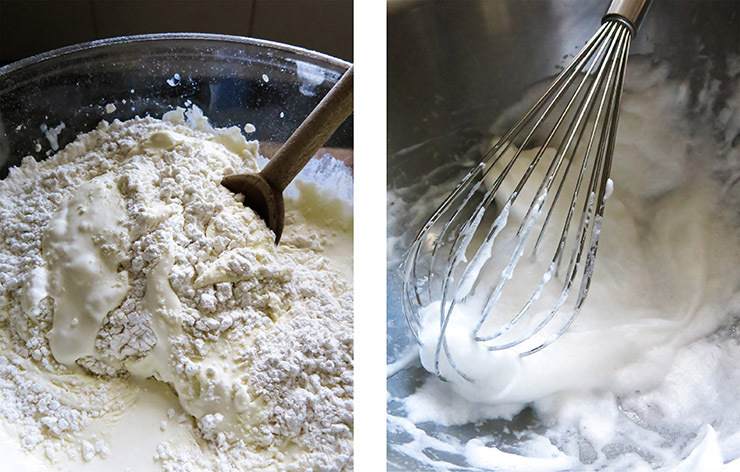 I then beat my 2 egg whites and folded them in to create the final batter. Again, it was very thick. I wound up adding a bit more milk to thin it out. 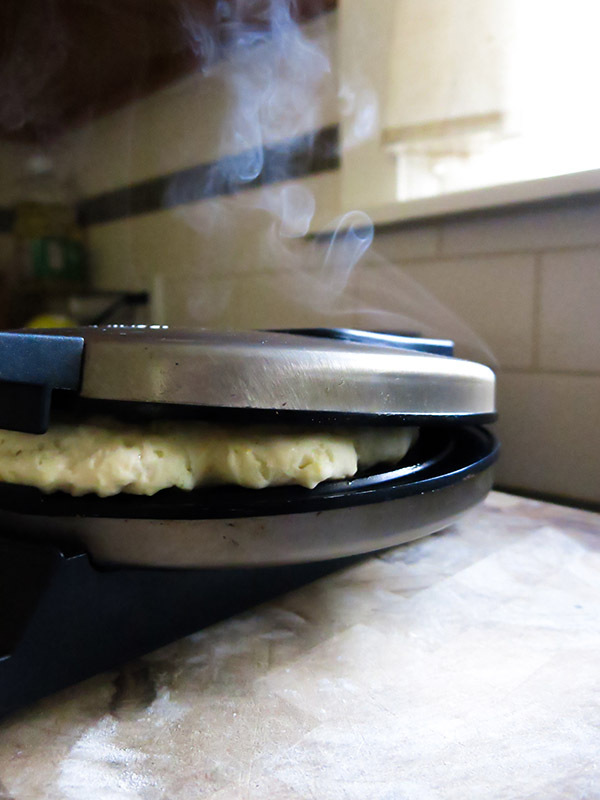 I heated up my waffle iron, brushed it with melted butter, and cooked them up. I got about 4 waffles out of the recipe. 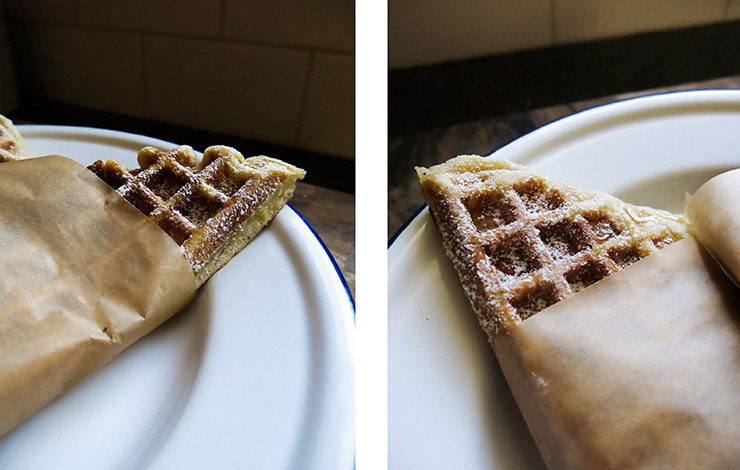 I tried mine with just a drizzle of honey and a sprinkling of powdered sugar. The verdict: they were quite good, although dense from the thickness of the batter. I can only imagine they were even more tasty after a few whirls on the roller coaster. 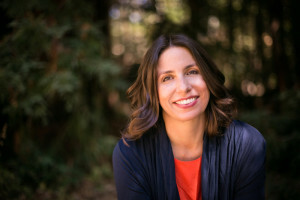 I would like to thank Veronica Martinez of the Oakland Tribune for her help! All other photos are by Adrienne Schell.